The fall of the Berlin Wall twenty five years ago has been rightly celebrated these past few days. It marked the end of an experiment in centralised economic control that had clearly run its course. The debate about how much further we can or should go with decentralising the economy - and politics - is, if anything, gathering momentum. Chris Dillow asks the question, if 'command and control' economies were such a bad idea, then why shouldn't the same process of 'decentralisation' be applied to 'command-and-control' corporations? I think he has a point - though not necessarily from the Marxist perspective Chris brings to bear. Clifford Longley argues in Just Money: How Catholic Social Teaching can Redeem Capitalism that we need to strike a new balance between the State, the Market and Civil Society. Funny enough, I think the emerging ethos of transparency (sort of) in relations between citizens and government, consumers and businesses might nudge us in that direction. 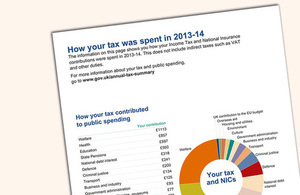 I love the UK Government's initiative to make the tax system more transparent by sending every citizen a statement showing how their income tax and national insurance contributions have been spent. Something that would have been unheard off on either side of the Berlin Wall 25 years ago. 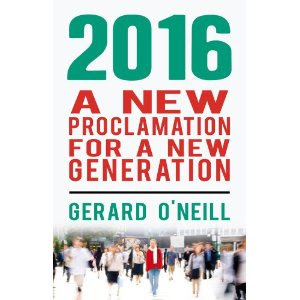 Perhaps the Irish Government will follow suit - some time in the next 25 years. We are citizens not subjects nor comrades, and we must remember that not all walls between the holders of power and the rest of us are made of bricks and barbwire.